This happened right after the Squidoo acquisition. I've never been a fan of HubPages so I'm experiencing a bit of Schadenfreude right now...I'm also a bit curious about how / why this happened. I haven't seen my traffic pick up though on the pages I've moved over to Wizzley...they're still lagging way behind the traffic I used to get on Squidoo. So I'm also open to suggestions for how to boost that. But...the big competitor to Wizzley may be taking a fall...I'm curious if this pattern / trend is temporary or is going to continue. I know my traffic at Hubpages flatlined after that. I don't have much there, so it's not really an issue to me. Unusually, traffic here has been brisk, but hasn't equaled to any sales. What I have learned here at Wizzley, the key to getting traffic is time. I've been here over a year and am now just starting to get decent traffic. Just write and wait is basically what you can do. 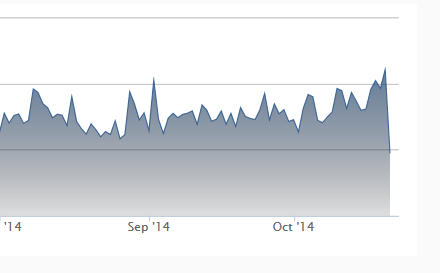 According to our Google Analytics, Pixabay's traffic is constantly growing in this period. I agree in terms of visitors that I used to get in Squidoo, I don't get the same on Wizzley but I am seeing some positive trends and a boost of traffic recently. Hoping that good days will eventually come. Also we should not be perturbed by Google's change in algorithms, if we keep our work original and authentic we have nothing to worry. Judging by the context, Schadenfreude is a word that I want to learn. What does it mean exactly and how do you pronounce it? As for what Abby and others have said about time, I can confirm that unequivocally. When I was starting out here, and Wizzley was a baby site too, people banged on and on and on about time. One of the wisest bits of advice I was ever given was that we're not writing for now, but for this time next year. But that's still all a bit scary, like jumping into the unknown, especially when you're starting out. Now I know that I'm sounding like one of those veteran writers, when I say that time did everything for me. I've seen Wizzley take off and my own stuff with it. It's not even like there's a steady rise per se. It'll be steadily trickling along, then suddenly whoooooosh we're up into the stratosphere (in relative terms), then it steadies out there, then whooooosh again, after a shorter time than the first one, and so on and so forth. The start of October was also the release of another Google Panda update, and last week there was a Google Penguin update. I think those have had something to do with the HubPages drop and not just the Squidoo merge. I guess the two just came at about the same time. My traffic has dropped all over the web, except for on my own blogs and on a handful of other sites. My traffic at Wizzley took a bit of a dive, but is coming back much quicker than that at HubPages. InfoBarrel was the worst hit for me. My traffic at Wizzley took a bit of a dive, but is coming back much quicker than that at HubPages. InfoBarrel was the worst hit for me. That's bizarre because I was going to comment on how my Wizzley traffic has been growing recently. I'm usually cruising around 1500 hits per day. Yesterday it was over 2200. I'd show you, but Gyazo is suddenly being a noob. Remind me later and I'll see if it's working again then to post it. After I wrote it I checked mine. For some reason yesterday there was a huge spike for me. But in the days before it, it had dropped to the lowest it's been for the last couple of months. I think Wizzley has come back--and I wonder if it's not been hit has hard by Penguin as HubPages and InfoBarrel seem to have been. I'm sure Chef and Simon will put me right, but: 'Shardenfroyda' is a rough phonetic pronunciation and I've always understood it to mean 'guilty pleasure', as in being happy because someone else is suffering or something is going wrong that you always said would fail. 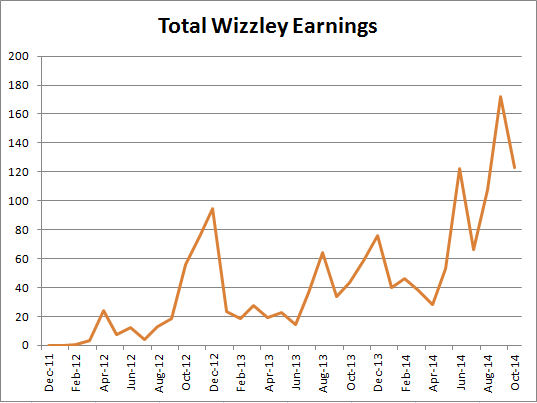 I've seen a huge dip in Wizzley views again. Down to a three-month low. My views aren't that high to start with, so this is really depressing. My traffic seems pretty normal here for a Monday, thankfully. Last week it was off on another site, which was having technical difficulties. I also chalked it up to pre-Halloween distractions. Hopefully your traffic will come around again. I'm trying not to pay too much attention to traffic anywhere, since there have been so many ups and downs. My blog traffic seems to come in waves. I've found the articles that saw a drop in traffic. I'm not really sure where there was a surge in traffic to them over the last few months, but that will explain the sudden drop. It's actually been pretty stable now since the drop. Was it the history ones? I've been running the entire history section through constant cycles of Twitterfeed streams for years. But I've been so busy just recently that I haven't had the time to refresh them. The Tudor and Elizabethean ones always promoted yours more than mine. If it's not the history ones, then I have no clue. Jo, have you written an article on how to set up Twitterfeed? This would be so much easier than doing it manually. Yes, the history ones, Jo. So that's what it is! For some reason all my ones on Kathryn Howard were doing really well, and took a massive drop at the start of October. Thanks for promoting them, Jo! I need to set up a feed to keep promoting articles on here. One day I'll figure out how to do it.